You can watch the clips of the band performing below. Be sure to leave us a comment with your thoughts! While only releasing two LPs throughout their five short years together (1990-1995), the legacy Drive Like Jehu left behind is nothing short of legendary. They have not only become notable through what they did together as a band, but what the band's members did after they called it quits. Drummer Mark Trombino became both an audio engineer and a record producer working most notably with bands like Blink-182 and Jimmy Eat World, while lead guitarist John Reis went on to found Rocket From The Crypt, Hot Snakes and the Night Marchers. 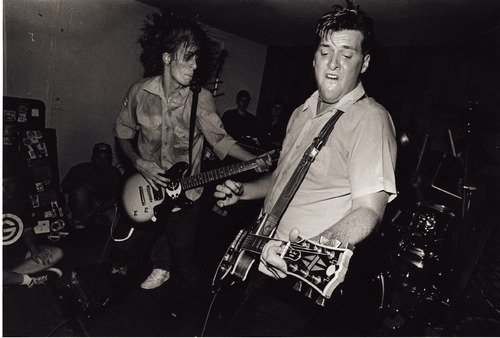 Lead vocalist/guitarist Rick Froberg is currently in the garage-punk outfit, Obits.